Wholesale Trader of a wide range of products which include pull testers. 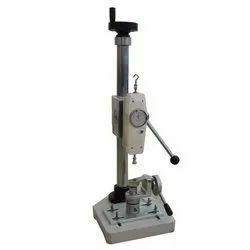 Pull Tester is a tension/compression test stand applied with push pull force gauge. The test stand has good stability, wide application, and convenient usage with function of step less speed adjusting uniform motion, converting mode between manual operation and automatic.